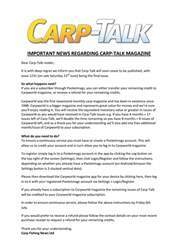 This week’s issue of Carp-Talk (issue 1225) is available to download now! The warm weather has continued and the fish of the UK have obliged! There are no less than five Most Wanted biggies in this week’s issue. Michael O’neill bagged the largest of these fish, in the form of The Avenue’s Tarka at 61lb. Horton Church Lake’s Fingers has made yet another appearance, this time at 51½lb to the rods of Jeff Field. Up north, on the Old Mill complex, Jonathan Meekin banked Birch’s Big Common at 49lb 14oz. Both Harry Ridler and Alex West banked Most Wanted biggies on their first casts at new venues, landing James’ Fish at 48¼lb and Triple Row at 44lb 10oz respectively. Nashbait brand manager, Max Hendry, talks about the effectiveness of Zig rigs during the spring months and how you can get the best out of this underused method. Paul Monkman reflects on a fantastic social the DNA Baits lads enjoyed on the Elphicks North Lake. Golden Triangle reporter and Avid consultant, Michael Poulter, looks back on a session he enjoyed at Wintons Lake in France. 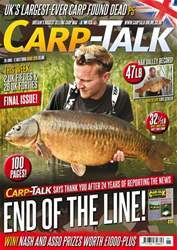 Marvin Wait reveals his spring carping fortunes, which changed for the better over the last few weeks. Simon Crow is back with his column, where he discusses the highlights of his first trip to Spitfire Pool of 2018. Finally, Amanda Dagnall writes of a successful trip to the intimate Badger’s Holt in France. We have two Fox Halo light packages worth over £300 up for grabs this week. 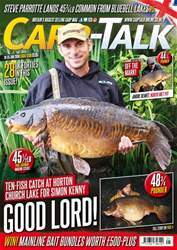 Plus, the winners of the monthly Nash Tackle and CC Moore competitions are revealed, along with the weekly Mainline Baits winners.